Nice ‘n Easy had become a dull, slow-growth brand. But Perfect 10—thanks to totally new amino-glycine color technology—was a breakthrough product, delivering fabulous new “liquid hair” color in just 10 minutes. The Clairol and Landor team saw a huge opportunity to bring a salon-quality product to the at-home hair colorist. Perfect 10 became the new product to transform the Nice ‘n Easy image, to eliminate its negative reputation as “my mother’s brand,” and make it relevant to a whole new generation. Citroën is an iconic automobile brand that has been an integral part of French culture for more than 90 years. After enduring a difficult period, the brand emerged stronger than ever in the beginning of 2000. Citroën is one of the two brands of the PSA Group, is currently the third-largest French automobile brand, and is established as the European leader in the multipurpose vehicle (MPV) category. Citroën’s success has been the result of consistent products and a classic style that reinforces the brand’s legendary status. Citigroup was created when Citibank and Travelers merged in 1998 and became the largest integrated financial services group in the world. With operations in more than 100 countries with 300,000+ employees, it provided a full range of retail banking, wealth management, corporate and investment banking, and alternative investment services. In 2005, the financial service sector was highly competitive in every category. The Greater Cincinnati Chamber of Commerce collaborated with locally based Procter & Gamble to initiate a study of the changing regional landscape. The study indicated a need to reconnect the population of the Ohio, Kentucky, Indiana tristate area: 2.1 million people separated by borders as well as accelerating suburban sprawl and diversifying cultures. In addition, the study recognized the need to attract businesses, tourists, and new residents by emphasizing the area’s virtues—a low cost of living, economic strength, and access to leading cultural institutions. 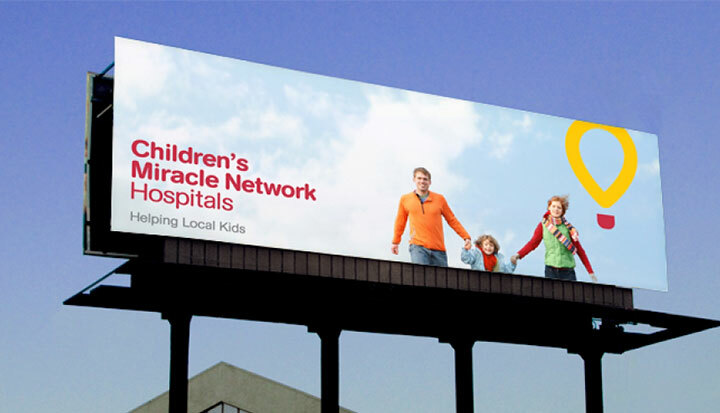 Children’s Miracle Network touches more lives than any other children’s charity. It creates miracles by funding medical care, research, and education that save and improve the lives of 17 million children each year. Despite this reach, the nonprofit children’s health organization struggled with being recognized. Even when the organization was identified, solicitors and donors alike found it difficult to articulate its amazing purpose. For more than 130 years, the Chicago Public Library has been one of the leading library systems in the nation. Through a network of over 75 neighborhood branches, it serves thousands of visitors daily. 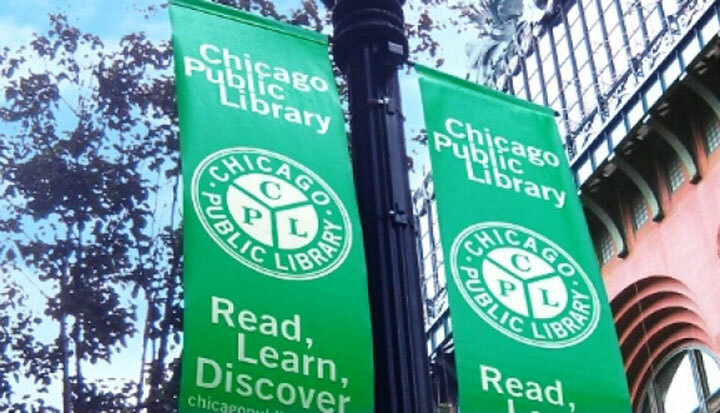 In 2005, the Library completed a five-year strategic planning process culminating in the addition of more than 50 new libraries throughout the Chicago Metro Area, with more additions planned. As a part of the strategic plan, it was determined that the Library could benefit from increasing patron awareness and usage of library offerings, facilities and programs. Charles Schwab has long been one of the financial industry’s largest, most trusted companies. As the first self-service broker, they paved the way for the do-it-yourself investor. But as the Internet made it easier for Schwab’s competitors to offer low-cost financial transactions, Schwab determined to move upmarket, attracting affluent commission-based investors without alienating their loyal self-service customer base. Schwab decided to evolve their company, and their brand, beyond its discount-brokerage image to include more relationship-driven brokerage services. Located at Dnepropetrovsk in Ukraine, Centravis is the leading manufacturer for seamless stainless steel tubes in the Commonwealth of Independent States (CIS) countries and number five worldwide. The production plant, NSTM, represents over 75 years of steel production and tradition in the former USSR. During Ukraine’s privatisation phase in 2000, the former trading company UVIS acquired the Nikopol production plant. It is the only manufacturer that is capable of producing tubes to Eastern and Western grades and specifications. Landor Hamburg was chosen to revitalize the brand after a study of branding agencies worldwide in part because of its industry experience. Cemex is the leading cement brand in Mexico. The cement market began to change and become more competitive as foreign companies began to enter. Loyalty among the network of distributors was vulnerable due to a lack of attention from Cemex. Given that better pricing was not a sustainable solution, Cemex asked Landor to create a more attractive exterior image for its distributors. The goal was to improve sales and create goodwill among distributors by showing Cemex’s appreciation. Cathay Pacific began as a British airline based in Hong Kong. It had enjoyed an excellent reputation for quality of service but had become somewhat tired looking as its identity had not been updated since 1970. With the Asian air transport market growing fast, Cathay was evolving to meet the burgeoning travel demands. Cathay management determined that a corporate identity renewal was necessary to signal the changes within the company and preemptively respond to growing competition in the region. In view of the forthcoming handover of Hong Kong to the Chinese government, and in recognition of Cathay’s Asian heritage, marketplace, and employee base, the old expatriate image needed to change.